There was a question on a facebook forum about when the text on the LH side of the engine block disappeared. I suppose the "Ford" text was there from start in 1908, while "Made in USA" was added in 1912. I looked at Bruce's online encyclopedia here at MTFCA, but the removal of the text wasn't mentioned - just that it was removed on the head in August 1926 for the '27 model year. I've got four 1925-27 engines/engine blocks without the text, (the oldest #11020xxx from January 1925) and a couple of 1922/23 blocks with it, so I suppose it was removed during the 1924/25 period. 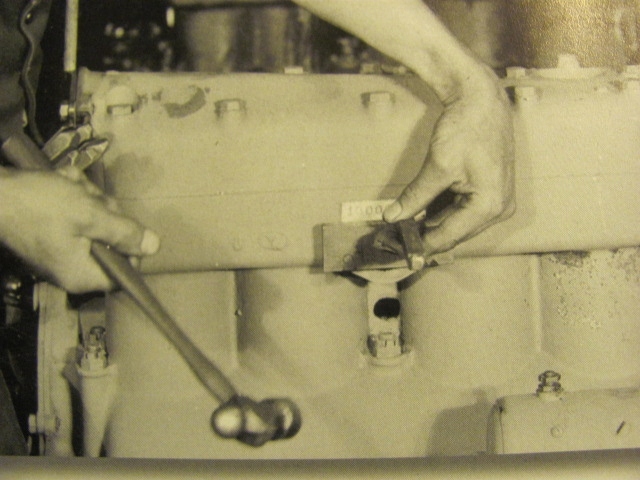 The obvious change during the period was the gradual transfer of engine production from Highland Park to the new River Rouge plant, from September 1924 to February 1925. It's likely the new molds used at Rouge never got the "Ford" script? 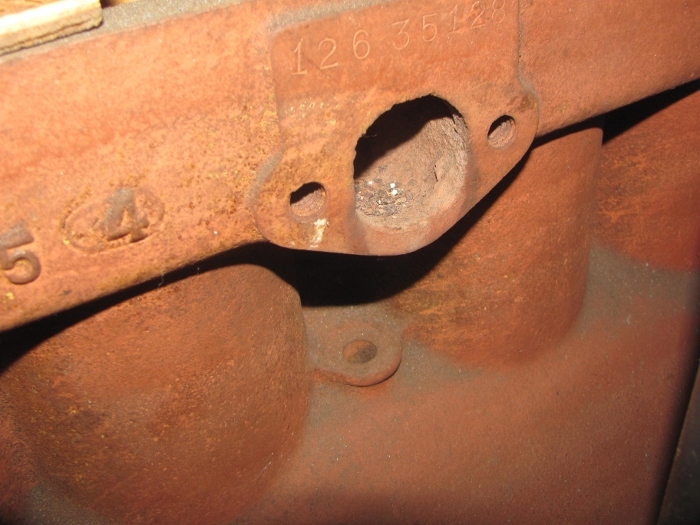 Does anyone have an engine block newer than my January '25 block with the "Ford, Made in USA" text? And are there any blocks made before the September 1924 startup of Rouge without the text? Did Canadian production remove the text too? When? Don't know about Canadian blocks, but some of the USA 1923 blocks had the script and made in USA left off. (Aug. 1, 1922 to Aug. 1, 1923). My July 26, 1923 7,968,073 block has the script and made in USA. This Nov 2, 1925 block, 12,635,128 is bare without script or USA. And this factory photo of #10,000,000 seems to lack the script and USA on the block. So I believe that during 1923 the script and USA was left off the block, but don't know the actual date in 1923. Thinking back on that statement by Bruce McCalley in his CD I posted, he stated, "during Sept some of the blocks..." So that is likely the time frame, as the 'new' model year for 1924's was Aug 1923, makes sense then that the Ford script and Made in USA, was off the block for the new model year. That would be correct what you posted. August 1 or so 1923 is when the Ford text left the block. Ok, then the change was a year earlier than I thought. We may never know the reason, if any? The block on my 1923 engine #797**** has no script. There is script on the head. I bought a 1922 engine with #614**** last weekend with script on the block and no script on the head. Mine is a 1924 and the block # is 8996224 which Steve Jelf said is December 24 1923. And it has no script.